Right after I checked the Online Life Insurance. This is what I have seen with my son. We were at my friend's house because we are babysitting that time. 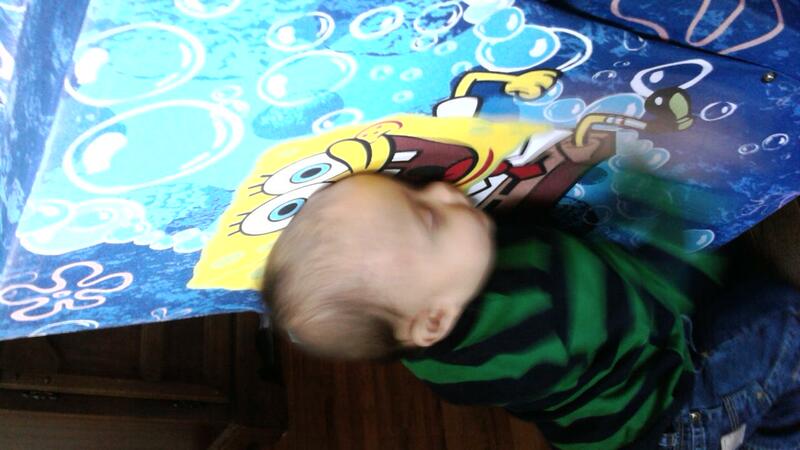 Does he really likes spongebob? I am not sure yet, it is too early to tell but he likes it when this cartoon character makes a funny noises. I immediately took my camera out from my diaper bag to take a quick caption of him with spongebob. He looked like he is hugging the cartoon. Plus matching the closing of his eyes just happen when I took the picture. It definitely looks like he is in love with this cartoon character. Isn't that funny. It's really amazing that I capture good memories with my baby. well sponge bob is so cute and we can't deny it. MAybe he like the color yellow heh so adorable.